Country recording artist and CCMA Spotlight Contest winner Cory Gallant and The Red Dirt Posse will be making their debut appearance at Corky's Irish Pub in support of his upcoming album. Special guest The Heels. There will be line dance lessons, drink specials and album and merchandise giveaways too. Country recording artist and CCMA Spotlight Contest winner Cory Gallant and The Red Dirt Posse will be making their debut appearance at the Railway Stage & Beer Cafe in support of his upcoming album. Special guest The Heels. Drink specials and prize giveaways ALL NIGHT LONG! Cory is the reigning winner of the CCMA Spotlight Performance Contest and was recently invited on stage to perform with George Canyon. His album of all original material will be available in May and will include a single written by Nashville artist Chris Janson and Emmy Award winning songwriter Trey Bruce, as well as a duet with Georgette Jones (daughter of George Jones and Tammy Wynette). Cory’s rich, soul-filled vocals helped gain him national exposure when he became the winner of the 2018 CCMA National Spotlight Performance Contest. Despite hailing from the smallest province in Canada, Prince Edward Island, Cory still received the largest number of fan votes to win the contest. This led to a performance at the Legends Show in Hamilton, Ontario for Canadian Country Music Week, sharing the stage with Chad Brownlee, Terri Clark, Aaron Goodvin, Charlie Major, Jason McCoy, JJ Shiplett, Patricia Conroy and Michelle Wright. The creative union of Bobbi Smith, Brittni Dominelli, and Kyla Rawlins was born of a desire to heal through music, and now they’re carrying that mission forward and sharing it with an ever-growing fanbase. Shortly after releasing their debut single “Come Around” to radio in the summer of 2017, they were kicking up a frenzy of deserved attention. Then, when Love, Heels saw daylight in May 2018, they toured the country as radio and media darlings, took to major festival stages like the Calgary Stampede and Sunfest Country Music Festival in Cowichan Valley, BC, and racked up hundreds of thousands of streams across the major platforms. 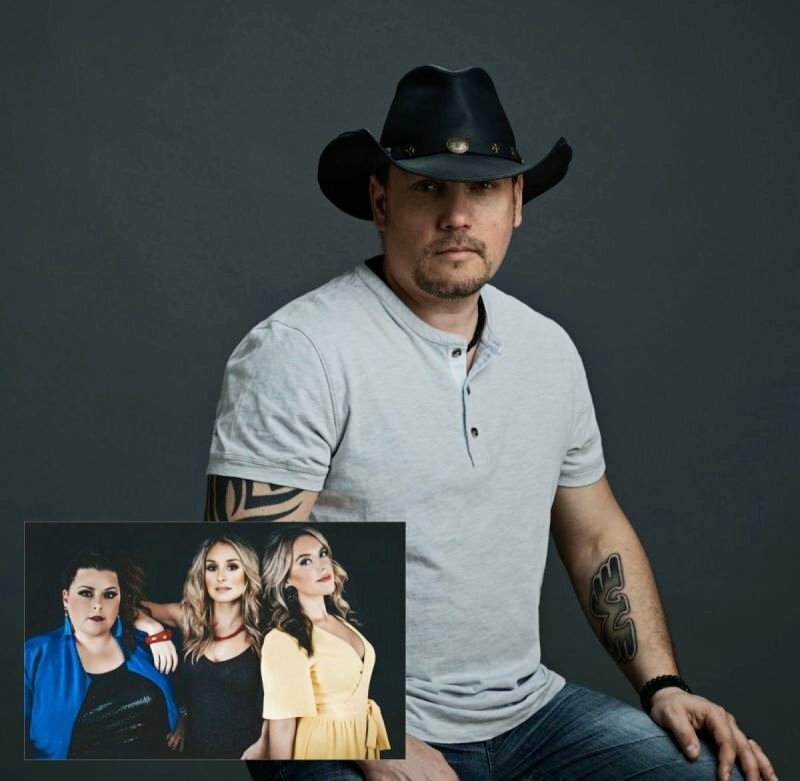 And just a little over a year after dropping their first single, they’d amassed an impressive six nominations for the 2018 BC Country Music Awards in the fall of 2018. The Heels official video for "He's Not Where I'm Going"